Councillors in Belfast have voted to express the city council’s opposition to the UK joining the air strikes against ISIS in Syria. Earlier this month, MPs at Westminster backed the Government’s proposal to send RAF Tornados to join the other nations already attacking selected targets. Following an all-day debate, MPs voted 397 to 223 in favour, with 66 Labour members defying party leader Jeremy Corbyn to vote with the Government. Since then, British jets have been heavily involved bombing oil fields and other sites deemed strategically import to the terror organisation. On Wednesday night in Belfast City Hall there were heated exchanges as a number of Sinn Fein councillors slammed David Cameron over the UK’s intervention. 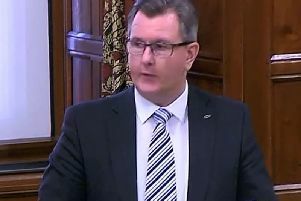 Proposing the motion, Sinn Fein’s Jim McVeigh said his party supported “the efforts of those forces who are fighting Da’esh on ground,” but said aerial bombing would “kill thousands upon thousands” of innocent Syrian civilians. He also accused both Britain and France of hypocrisy over their sale of arms to Saudi Arabia - claiming the Saudis were supporting Da’esh in Syria. An SDLP amendment to the Sinn Fein motion, proposed by Cllr Donal Lyons, called for “intensive international humanitarian efforts to support and safeguard the people of Syria,” while opposing the air strikes. The amendment was successful and the final vote was passed with 30 for and 19 against. PUP councillor John Kyle opposed the motion. Speaking during the debate, he said Westminster was where the only relevant debate was taking place, and that the action of Sinn Fein in convening the special meeting of the council was “a waste of time”. Jolene Bunting of the TUV said she wished the RAF pilots and Britain’s allies well in the bombing campaign and added: “The terrorists in Syria need to be dealt with”. DUP councillor John Hussey also voted against the motion. He said “more people will die” if the military action is not continued. He said terror attacks across Europe, prior to the airstrikes, proved that it was not safe to ignore Da’esh. He added: “Obviously there are concerns about the deaths of civilians, but we need to realise that we are not in a situation where it is a choice between civilian deaths and not civilian deaths. “How many civilian deaths are there going to be around the world unless ISIS is stopped...we are not facing a choice of peace or war”.